This underlayment is the choice for professional roofing contractors. It replaces felt, provides a safe working surface for roofers. 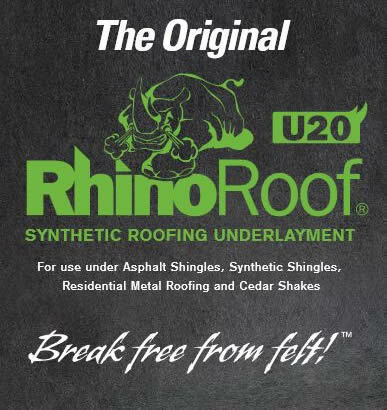 RhinoRoof® Synthetic Underlayment is a secondary layer of protection for your roof. Your roof will benefit from over twelve years of industry research and development. Your home will be protected by a secondary waterproof layer and this will effectively extend the lifespan of the roof. RhinoRoof® provides a lasting secondary layer of water proofing against, wind driven rain, shingle blow-offs, hail storms and other violent acts of Mother Nature. 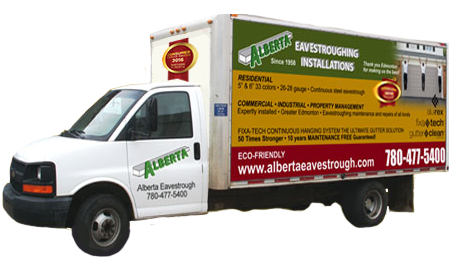 Your underlayment is covered by a leading manufacturers 20 year warranty. Increase the true life of your roof – RhinoRoof is a synthetic and does not break down, nor does it dry out or degrade like traditional asphalt felt products. This membrane is up to 12 times stronger than #30 roofing felt. Wider and longer rolls offer fewer horizontal and vertical seams on your roof which further reduces the number of potential leaks.